We are pleased to announce our 21 October 2017 meeting guest will be Edmund Pegge; Meeker in Dr Who: The Invisible Enemy. The 18 June 2016 annual general meeting has seen a new committee elected. Annual General Meeting approximatley 5pm, Adelaide High School Saturday 20 June 2015. 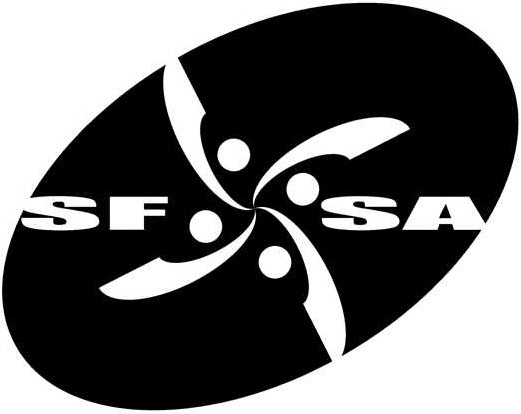 Plus our latest magazine, SFSA 32!!! Note annual picnic held at Adelaide High in case of inclement weather. The 21 June 2014 annual general meeting has seen a new committee elected. Edmund Pegg at 50th anniversary event! We are pleased to announce our guest for the celebration of Doctor Who's 50th anniversary: Edmund Pegge. Box Factory for Doctor Who 50th!!! We are proud to announce the South Australian Doctor Who Fan Club, Inc. (also known as SFSA) will be holding an event to celebrate the 50th anniversary of Doctor Who's first broadcast. This will be at the Box Factory Community Centre, 59 Regent St South, Adelaide SA, on 23 November 2013 from 12.30 to 6.00pm.